1 ha. Age of the vines: 30 years. Winter and spring : "Guyot" pruning. Arch trained. Addition of organic matter at the end of winter. Spring and summer : Disbudding then tying-up. The vines are only treated with copper, tisanes, and sulphur, no pesticides. The soil between the rows and "under the rows" is ploughed several times a year. Spreading of horn manure (500p) and silica (501) to naturally reinforce the vines. No chemical weeding. The grapes are hand-picked and put in 300 kg containers. Pneumatic pressing of whole bunches. Static gravity settling. Spontaneous alcoholic fermentation with indigenous yeast. Alcoholic fermentation, malolactic fermentation, and aging in stainless steel vats. Aging for 24 to 30 months in 228-litre barrels in an unconditioned room (attic) with no topping up to promote the development of a "flor" on the surface of the wine. This is called aging "under flor". The "flor" protects the wine from abrupt oxidation and the yeast in this flor regenerates naturally. 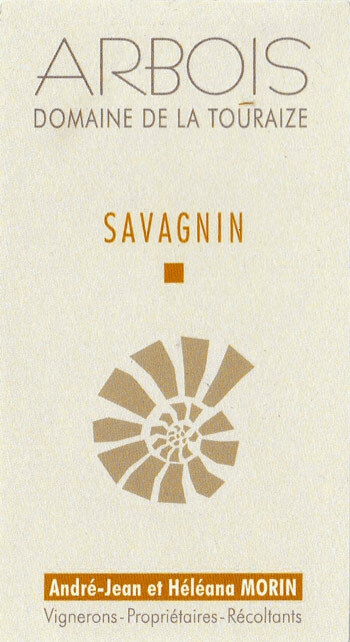 During this slow process, the yeast dies, breaks down, and thus participates in the olfactory and sensory complexity and diversity of distinctive Savagnin. Filtered through a cellulose plate. Cork stopper 49/25. White meat and fish in cream sauce, mushroom dishes, curries, snails, crayfish, mature Comté.